This sample trick - a brain teaser - from the first page of the book. Four other tricks can be seen by clicking on the table of contents links for the book below. This old-timer has puzzled people for many years. 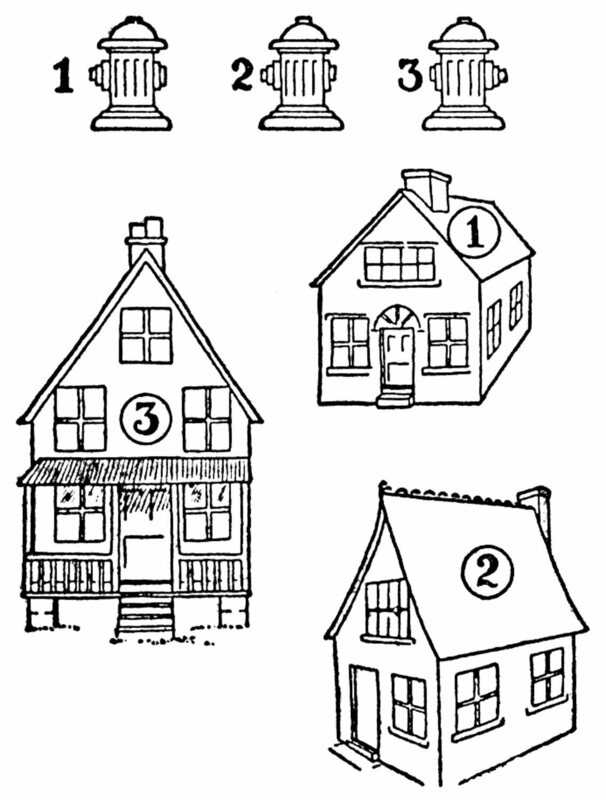 There are three houses to be supplied with water from three hydrants-one hydrant to each house. Call the hydrants 1, 2 and 3, and the houses 1, 2, and 3. 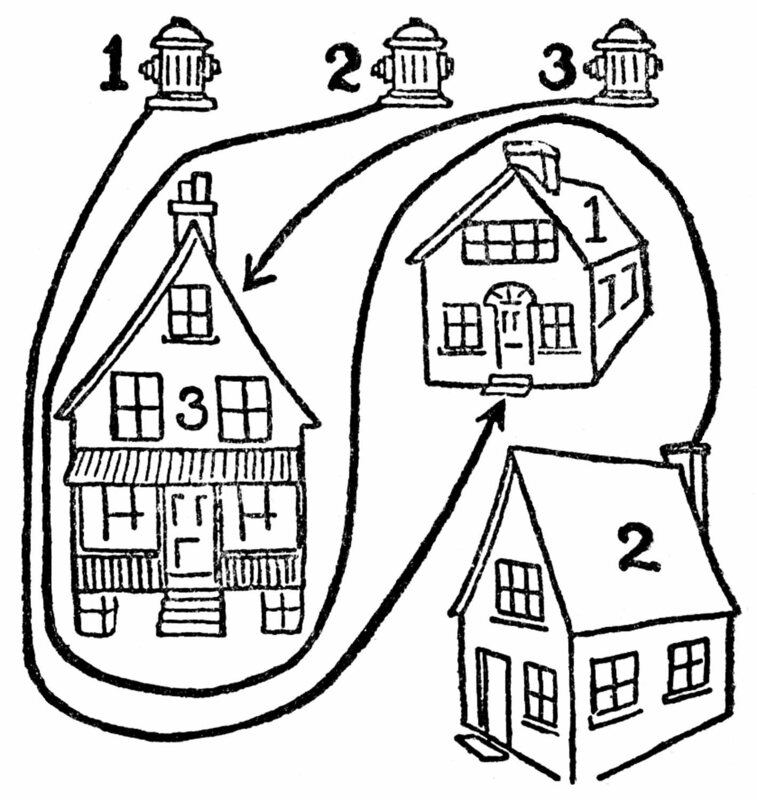 Now the problem is as follows: Run pipes (pencil lines) from hydrant 1 to house 1, from hydrant 2 to house 2, and from hydrant 3 to house 3, without crossing any of the lines. You must not go above any of the hydrants. Solution will be found on below. This shows how to draw the lines without crossing any of them.